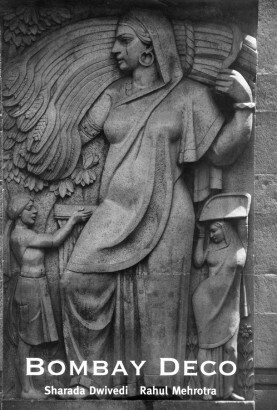 ART DECO emerged in India in the early 1930s with Bombay serving as the crucible for its birth. Interestingly, while its appearance paralleled the waves of nationalism and the aspirations of swarajya or self-rule, the style was virtually a spontaneous burst of exuberant westernization before Independence. Art Deco arrived in India, literally on the shores of Bombay, spurred by the great reclamations in the island city, the creation of new northern suburbs and the frantic building activity that was taking place in the 1930s. Art Deco incorporated decorative themes and motifs facilitating continuity in expression or ornamentation critical for India. Although the style grew out of industrial means of production, in India, buildings continued to be constructed primarily with manual labour bringing to them a hand-made quality while also creating a highly skilled pool of labour that was familiar with the use of Reinforced Cement Concrete construction. What is unique about Bombay is the concentration of the Art Deco buildings in what can easily be called a Deco District, the ensemble of the theatres with the buildings on the great Backbay Reclamation which makes a precinct, cohesive in its image and so clear in its delineation, that in size it is perhaps rivaled only by the Art Deco district in Miami. More interestingly, this precinct covers both a seafront situation as well as one where it faces the great neo-gothic buildings of Bombay. Over the last seven decades the Art Deco buildings in Bombay have quietly survived as the city has grown and transformed around them. Today these buildings face new challenges for their survival and their conservation is vital, for they are a great asset, which could position the city uniquely, not only for its collection of varied architectural styles but also its image as a city that historically embraced the future.